Shoes in Rapid is the newest release and first full-length from Apartment Kids, the recording project of Bellingham’s Peter Hilleary (previously of Todos Somos Lee and Navigator/Communicator). The album consists of 10 (largely instrumental) tracks topping out at 43 minutes of what can only be described as acoustic/math/prog-rock. While this seems like an odd amalgamation, Hilleary does far more than make it simply listenable – he makes it catchy. 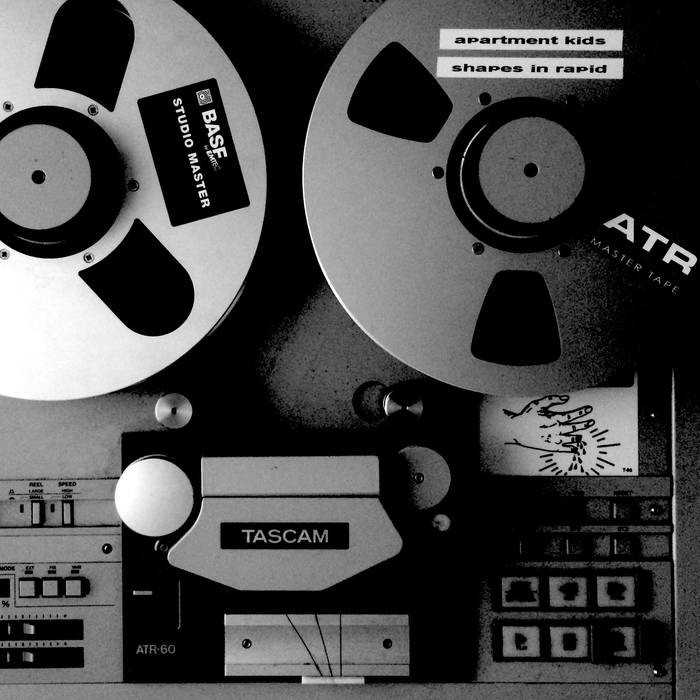 Apartment Kids’ previous release (Soft Gamma Repeater – also highly recommended) has been described as a combination of “Rooftops and Mogwai”, and with Shoes in Rapid Hilleary has continued this borderline indescribable style/genre, creating a full length that melds elements of Animals as Leaders, Amnesiac-era Radiohead, and Massive Attack – all while retaining a unique “Pacific Northwest” feel. While the included tracks are largely instrumental, the songs featuring vocals see them being used in a less traditional manner – instead of specifically highlighting Hilleary’s lyrics, they seem to implemented as additional instrumentation. The atmospheric effect created by these whispering vocals is akin to the visual (and ensuing emotional) effect of watching fog descend over Sehome Hill on a cloudy Fall day. Although it’s difficult to pinpoint a single highpoint, the sitar included in “Dosing Furnace” (track 6) immediately comes to mind. Not only does it highlight Hilleary’s incredible musicianship, it avoids sounding like a gimmick. Very rarely can such unique instrumentation fit into traditional Indie-rock music without sounding like a desperate attempt to deviate from the norm, but on “Dosing Furnace” it feels perfectly at home, adding a sense of oddness which makes it nearly downright impossible not to immediately put the track on for a second (and subsequent third) listen. But that is the point – everything about Shoes in Rapid takes what you thought you knew about independent music and turns it on it’s head. Shoes in Rapid is an extremely impressive release in its own right, going above and beyond the expectations set by Apartment Kids previous releases, which continues to highlight Hilleary’s artistic intelligence.